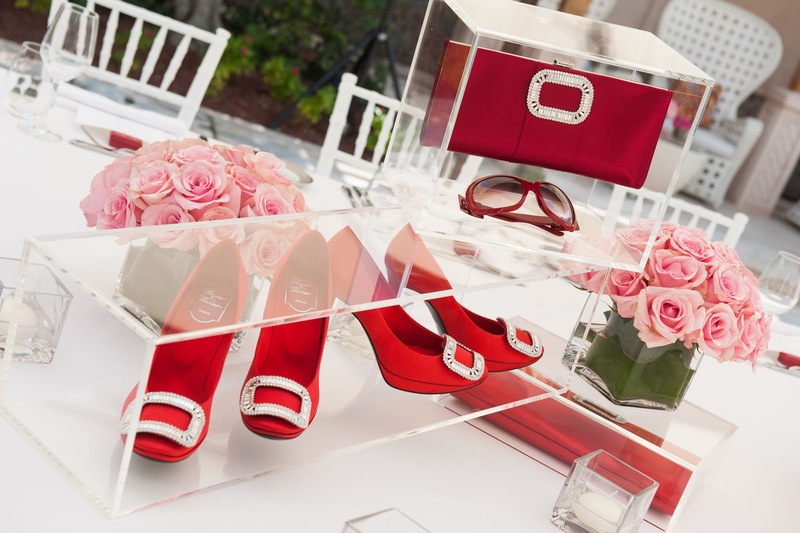 The Roger Vivier sample sale is back in town starting this Friday. The five-day sample sale will offer brand fans a wide selection of shoes, bags and accessories for up to 60% off. At the last sale, about 16-months ago, shoppers were greeted with mountains or red boxes including classic buckle flats, elaborate heels, sandals and boots. No season was left out and no style or print was omitted. In addition, there were lots of bags, including evening clutches and larger shopping totes. There was also a small but nice assortment of small leather goods and jewelry. Any shoe with a buckle was marked 50% off the retail price. Shoes without a buckle were an additional 20% off, or 60% off retail. The price for classic buckle styles were about $275. Sandals are a bit less at $220 and boots ranged between $420 and $600. Bags cost between $425 for a long classic clutch to near $800 for lager bags. The sale also included small accessories and jewelry that were priced in the $100 to $200 range. Those who are serious Viv fans better start clearing their balances now. Again, this is a credit card only sale and you're going to need at least $1000 if you're not disciplined enough to pick just one pair of shoes. Those unable to preview the sale early (hint-hint) should slot between two to three hours during the first day. Last year, the line to check out equaled the line to get into the sale.